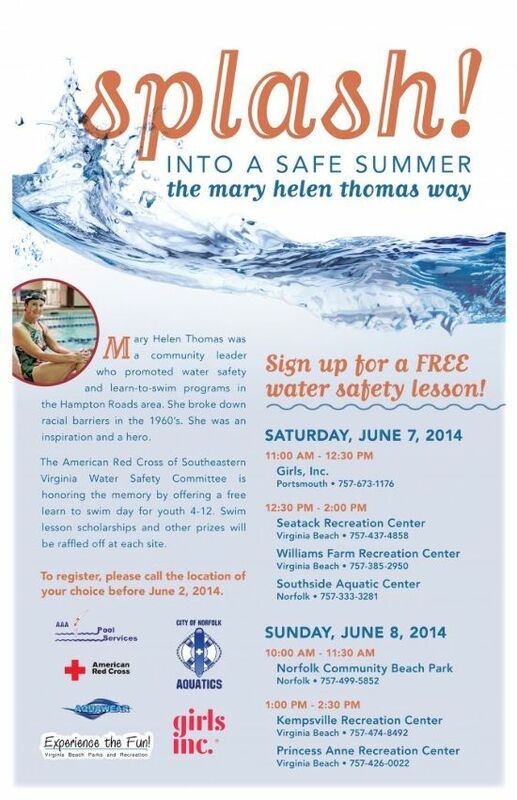 There will be FREE learn to swim clinics on June 7-8, 2014 for children ages 4-12 throughout South Hampton Roads. The American Red Cross of Southeastern Virginia will be conducting these classes in memory of Mary Helen Thomas, a local woman who was an instrumental part of the local swim community until her death in 2010. Please register by June 2nd by contacting the participating location near you. There will be an opportunity for youth to win swim scholarships and prizes as a part of the event.